Jang Seon, a 37-year-old real estate developer in Seoul, moved to the capital city from Busan and has lived alone for nearly a decade. Jang said loneliness crept up on him at seemingly random times throughout the day. But, after discovering his new favorite pastime of singing, he learned to embrace solitude within the four walls of a coin-operated karaoke booth, known in Korea as noraebang. “Most of my friends are married now and it is considered quite rude of me to call them out when they have family at home. Beer alone or coin noraebang? I must say I used to like drinking alone before, but now coin noraebang for sure,” Jang said. Jang is among the growing number of South Koreans living in one-person households who take delight in doing leisure activities alone, especially singing. A survey by Statistics Korea showed that as of 2016 some 5.4 million Koreans live alone, a figure that has seen a steady increase from 5.2 million in 2015 and 2.2 million in 2000. The rise in the number of one-person households suggest that more Koreans are beginning to focus on personal needs. Herd mentality is no longer appealing to those in their 20s and 30s, whose growing appetite for autonomy is reflected in the evolving leisure culture. A few years ago, people could not have even conceived of knocking on the doors of a karaoke place out of fear of being labeled “weird” or “gloomy.” In the past, karaoke parlors were visited by groups of people with some companies holding bonding sessions over songs. Coin-operated karaoke rooms, normally built to fit one or two people, appeal to customers with their lower prices and convenience. Depending on the store, customers can belt out their favorite tune for only 500 won or three songs for 1,000 won. 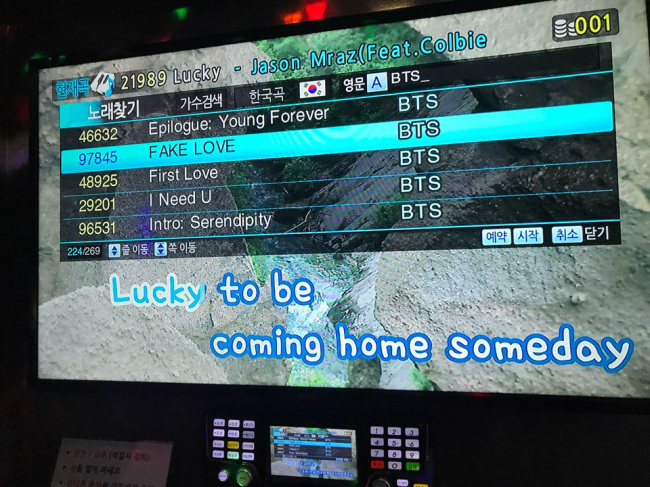 The new coin karaoke places emerged as the place people go to relieve stress for various reasons depending on age. 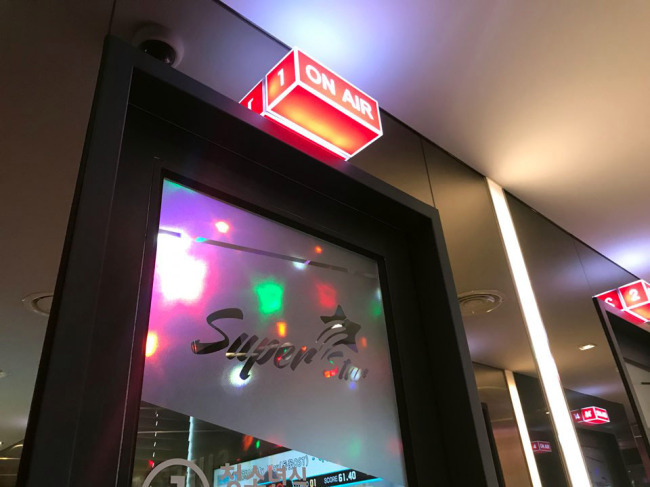 Since gaining popularity in 2016, many coin noraebang places have replaced the traditional karaoke parlors that normally charge either 12,000 won or 20,000 won depending on the time of day. 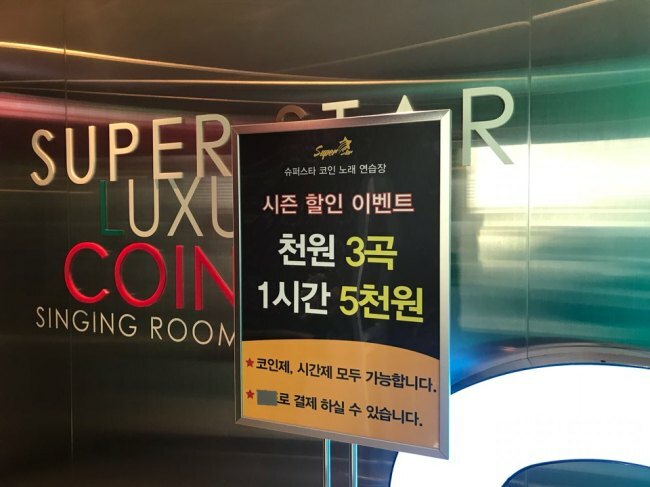 In the case of “Superstar Coin Noraebang,” a franchise that boasts 57 branches across the nation, the 54-year-old owner of the Gangnam Station branch, surnamed Park, believes the branch has done well since its opening two years ago thanks to his emphasis on cleanliness. “Not all coin noraebang places are run like mine. I know, for a fact, some places are unmanned, operated with just coin machines. Many foreigners come into our branch, given the location, and I want them to leave with the best karaoke experience,” Park explained. 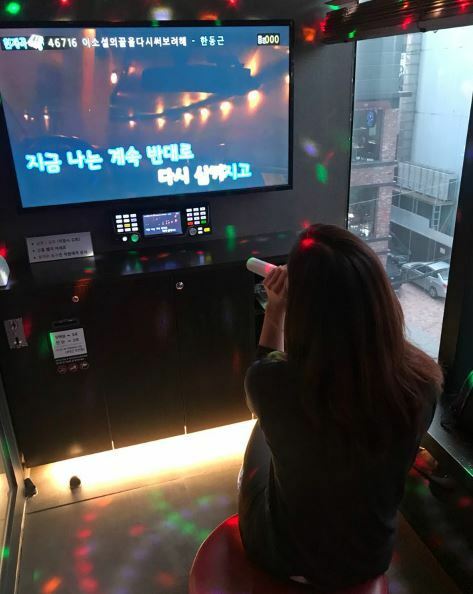 For Kim, the best part of coin karaoke is that she can sing as many songs as she wishes at a cheap cost and interact with friends by listening to each other sing. “Couples should also try out coin noraebang if they want something new and intimate,” she said. Another frequent customer to coin noraebang is Shin Ji-young, an Incheon middle school student, aged 16. Shin started going to coin karaoke four years ago. Asked why she visits the coin noraebang at least five times a week, she described how the place gives her a sense of comfort. “I feel most comfortable here because it allows me not to care about what other people think of my singing. I usually go to practice five to 10 songs by BTS until perfection. So, whenever I do go with friends, I won’t make a mistake and feel embarrassed,” Shin said.